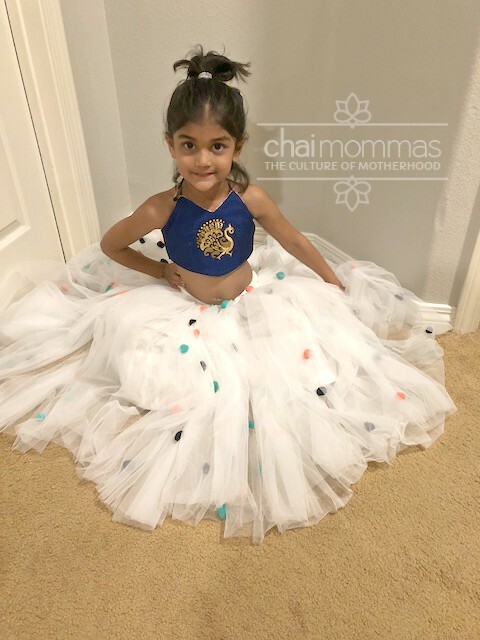 P. by Prety is a an Indian clothing line specifically for little girls, designed by Prety Patel. When I was in San Francisco a few weeks ago, I had the chance to meet up with Prety to check out her clothes for my own girls. At first sight, my girls were so excited and could not wait try on the “princess gowns” as they called them!! Prety’s line of clothing is geared to little girls ages 0-13. The focus is comfort, versatility, and fashion. The point of it is to feel like the a princess, look amazing and never have that feeling of being uncomfortable. You’ll find most girls put on my clothes and just want to twirl and smile, that’s the whole point. I go to India every 6 months to hand-pick all my fabrics – this is what makes my clothing. It’s the quality and the blends. When I head to India I sketch everything out to make sure I have designs I love and then tweak based on the fabrics that I find and how well they work with my vision. I then have my team take my sketches and my fabrics and put it all together. Since she was a little girl she always had a knack for clothes and the way they fit. 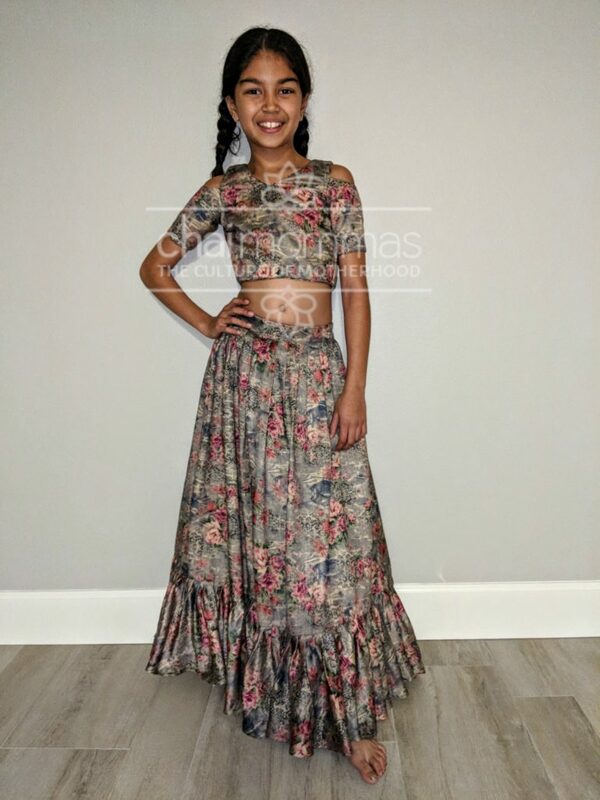 She went on many trips to India with her parents and would find herself going in and out of clothing stores not wanting anything because she didn’t like the way it fit, or simply just the style. She thinks growing up in America made her want things that were transitional and trendy – and not what every other girl was wearing. She continued to butcher and cut apart outfits her mom would buy just to make things fit off the shoulder or hand sew tops to make them fit a little more modernized. She found herself lost during college with what to do, so that’s when she found a program under Family and Consumer Science that was for Apparel Marketing and Design. Where she fell in love and actually enjoyed going to classes. This is when she learned the technical part of fashion. She learned how to sew, make garments and actually did her first line of clothing for a college fashion show. Very quickly she understood that the sewing part was not her strength but the creativeness and the vision was there. If you are considering starting your own clothing business, don’t let something as simple as not being able to sew hold you back. Clothing Manufacturers will be able to help you with this part of the process, providing you supply them with the rest of your vision. There is always a way around any issue. For many years after college she worked as a Visual Manager for Macy’s and Nordstrom where she got to use her left brain and right brain. Managing her own teams and budgets to the creative part of fashion, composition and styling. It was perfect. Something was always missing though. She thinks that bit of being an entrepreneur that her parents taught her was always in the back of her head. That’s when she realized she needed to do something more. After years of filtering this idea, being scared to death she took the leap to her passion. She came up with a plan to just specialize in little girls clothing to learn the business, the ins and outs and all the ropes. It was a great way to start something without diving too far in. She saw that there was nothing specializing just in little girls fashion. Making it fun, easy and comfortable and that’s when she realized she really had a niche. My girls truly thought these were the most comfy Indian outfits they had ever worn. When they tried them on, they did not want to get out of them. This has never happened before! They loved twirling in the outfits and loved how the skirts flared out! Here are a few pics of my girls wearing P. by Prety! 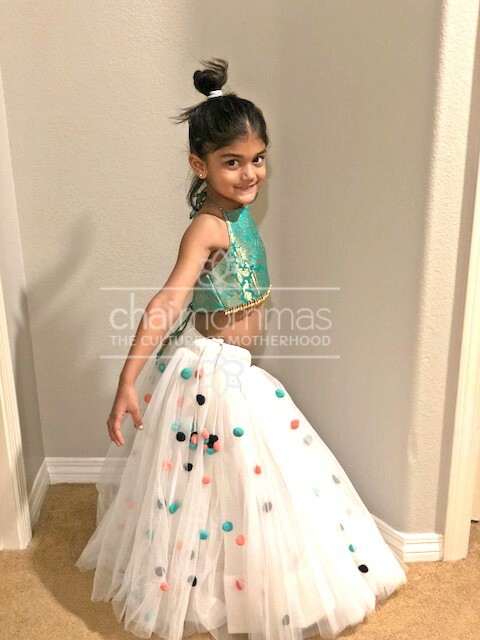 Check out winter collection and more here: P. by Prety and make sure to look out for her new line of Indian clothes for babies later this year…we cannot wait! I love these “princess” outfits! It looks like you can get many more outfits from these as they can easily be mixed and matched!